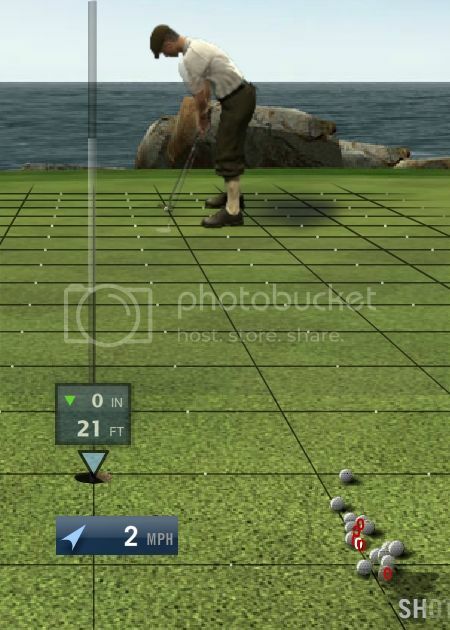 Forums » Product Discussions » Equipment & Avatars » Putter precision tests - Now with irons! Putter precision tests - Now with irons! Wed, Feb 21 2018 7:23 AM by pdb1. 201 replies. I have also seen players who use to play on Facebook, transition over to WGT site. They have to go through WGT to get approved and the only things that transfer are: teir, level,equipment and I believe average. Playing stats do not transfer over. True but I ask this player if he came over from facebook and said no. any chance of testing the level 96 Versa just to see how Tweety Pie fared with her predictions? The level 94 Nike looks no odds better than the 77 so the only other putter I might be interested in is the level 96 Versa or probably that level 80-odd one if you might test that one instead - I haven't got light years to wait and I do want a re-stock after the shock of clearing my inventory! I can tell you that the L 96 Versa is a top putter . I tried the L 86 Versa twice it was unmanageable . The L 70 Versa was better than the L 86 . It's on page 7 of "putter precision tests" sticky thread, it looks like the best performing putter in the tests (LR and distance). How did you like the Nike? I'm glad to see my lovely Daytona did so well! Thanks for the testing, this confirms my plans to keep it in my bag for the long haul! Here are the new results for the L55 Daytona. One thing I don't see on the putter tests is slope putting. I've watched a few top level players playing on faster greens than I'm used to but I keep thinking they're not giving it enough break..then in it pops. I thought it was because they were giving extra power to putt through the break but when they miss it doesn't go much further past the hole than I do. I think there must be a component to the better Putters which flattens out, so to speak, the break. Anyone noticed this, or is it just my imagination. I don't have the level to test this myself. But when you figure it out . Please post it here . If you do, you can test the "rentals perform better, especially during free weekends" myth, er...concept. Was this comparison ever done ? Do the rentals perform better ? At anytime ? Not just the free rentals weekends ? Myth or fact ? It would be very easy to adjust the parameters and precision and performance as an advertising marketing tool . Does WGT practice this ? If they do . Congrats to them . More revenue . It's no wonder they sleep so well . The more money I make . The better I sleep . The better everything is . Actually I realised I had the beginner putter and did a few tests with this against my Daytona. It looks like your probably right. The main difference I saw was in the consistancy. Daytona putts were nicely grouped. The beginner putts were much more random looking and were both higher and lower on the slope. Saying that though, I'd say the mean of the beginner putts were lower down the slope than the Daytona mean. It was a very small sample though..lol..I got bored..Kudos to the guys who persist in these tests and give us all this useful info. Would like to see a comparison of the Ghost-spiders the...lvl 35 seems more accurate than the higher level...and thanks for all your work guys !